We are grateful to Toys42Hands, in the Netherlands, for sharing with us a blog written by Karen Mee, 26, mother of 3 years old Lin (who has cerebal palsy). For every child the use of scissors is a skill that requires a lot of practice. For Lin that is made harder and quite hazardous due to her dyskinetic uncontrolled movements. 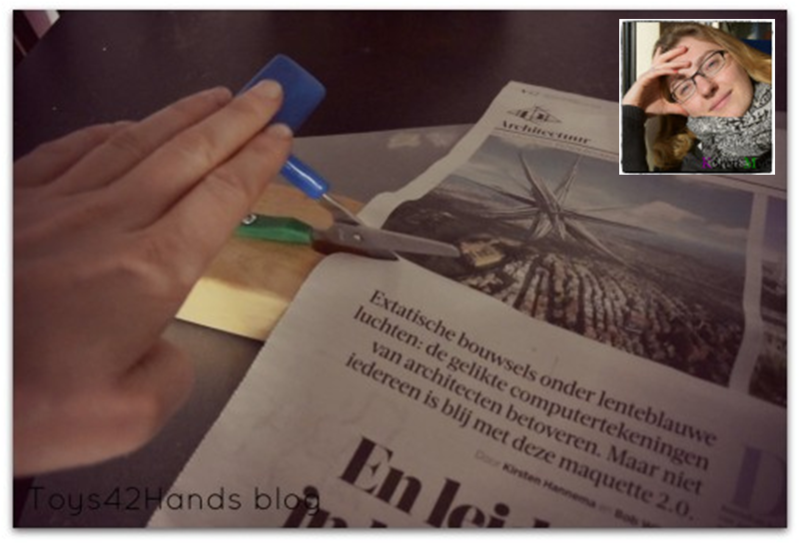 Still Lin really enjoys cutting and fortunately there is a way for her to be able to do this – mounted table top scissors. “We are sitting at a table with a great pile of assorted papers in front of us; ‘That one’ Lin says, whilst she points at a piece of newspaper. There is a picture in the paper she would like to cut out. I give the scissors to Lin. With her left hand she presses on top of the scissors handle whilst she slides the paper between the scissors with her right hand. I support her right hand as this is the most difficult hand for her to use and we don’t want her to cut her finger. Bit by bit we cut along the edge of the picture. With her utmost concentration Lin presses on the handle of the scissors and every time I say it is ok (and safe to do so).